This is delicious-every dancer should know how to make a balsamic reduction. It is literally good on just about anything and because of its vinegary aftertaste (sweet and yummy) it hits those taste buds, reducing cravings further. Yes, you just want to savor it it for what it is! Tasty on a cold frosty day or a warm and sultry one, but truly tasty is is! 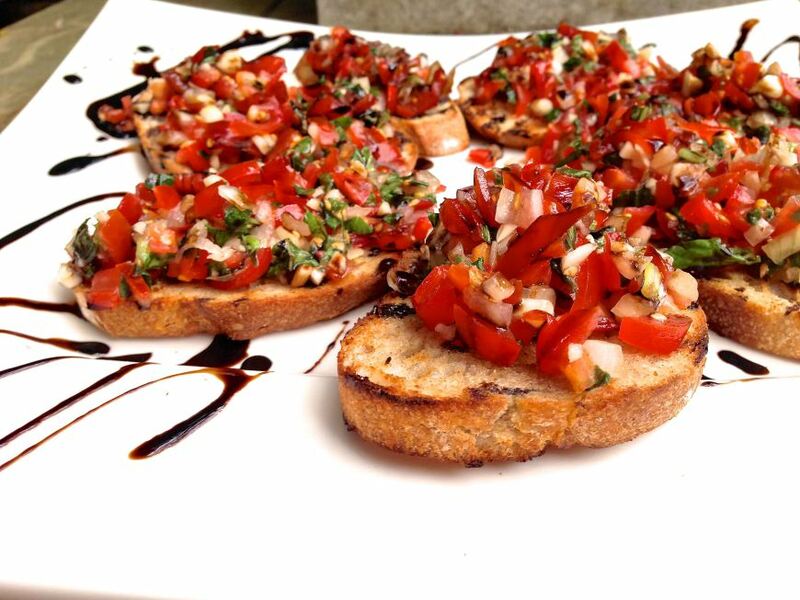 Bruschetta is one of my favorite foods of all time. When my husband and I went to Italy, I made sure to get bruschetta at every single restaurant we went to, so that I would really get a feel for how it is supposed to be made. I also got scolded by a waitress when I pronounced it ‘Brooshetta’, so make sure you are saying it with that hard ‘C’! It still feels a little clunky to me but I guess that’s the proper pronunciation. It comes together really quickly, and you can do all the chopping the night before to save time as well. I made these for a BBQ, so I toasted the bread right on the grill, which turned out great, but you can also just use your oven.